Fagron are a leading global pharmaceutical company who have quite a few successful products under their belt. We worked with them in the past to help launch a website for their product Nourisil, which generated some great results. 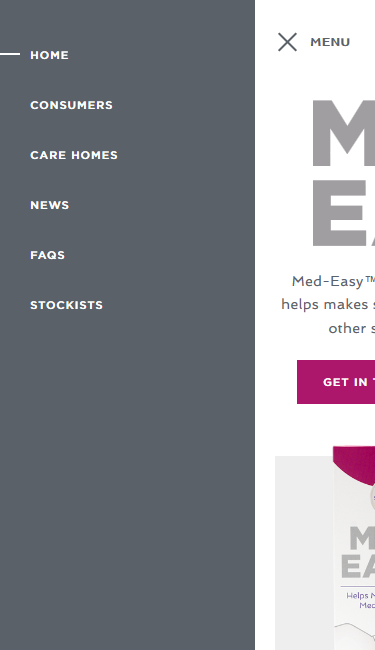 Fagron’s marketing team approached us again to design and build a website for their new product, Med-Easy, set to revolutionise the pharmaceutical market. 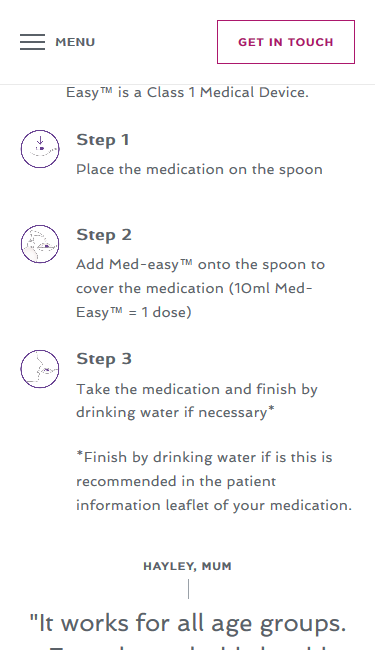 Med-Easy is a liquid swallowing aid which helps makes the swallowing of solid dose medication easier. Although many people have difficulties swallowing tablets and pills, Fagron knew this could potentially be a tough market to crack so needed a website that would deliver. They had two core markets in mind to target – care homes and every day consumers. As the product wasn’t yet available to purchase online, we had to ensure the site enticed users to get in touch whilst appealing to their chosen markets. We used imagery throughout the site which would instantly reflect these target markets, along with shots to show off the product and its packaging. We also felt that having a dedicated page for each core sector would help emphasise and relate to their target users further. Strong call to actions were also a very important element since Med-Easy couldn’t be purchased online yet. During design we ensured that there was a clear avenue for the user to get in touch on every single page of the site. 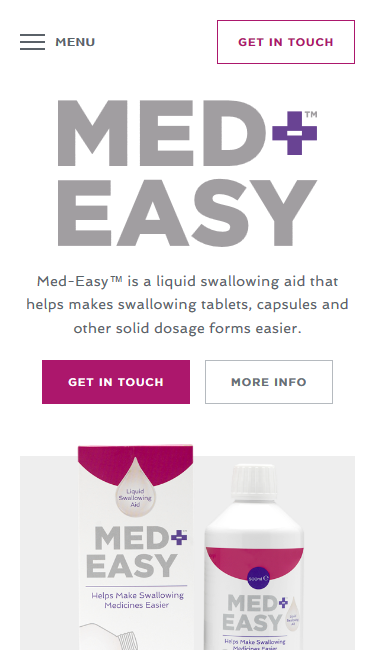 As Fagron already had some impressive testimonials from people testing samples of Med-Easy, we knew that these would be a great feature to show off on the homepage to help attract further interest and enquires. A drop down feature was also built into the contact form so that users could select their nature of enquiry. We decided to add a list of options in addition to care homes and consumers for the user to choose from. Although Fagron had their two target markets in mind, this meant they weren’t limiting their audience and missing potential leads from other areas. It also meant they could easily funnel any enquires that came through. The website has had some great feedback since its launch with Med-Easy also receiving quite a lot of media attention. I’ve worked with Union Room several times in the past and always find them to be knowledgeable about their trade and extremely customer focussed. This is important as they are able to manage expectations whilst not looking to oversell or recommend their services for no reason which can be the case with other digital service providers. I always look forward to my next posh coffee at their fantastic offices in the North East.